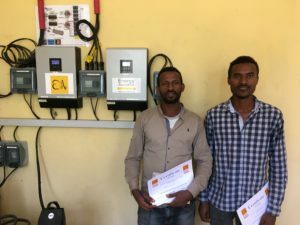 For this last project in 2018, our volunteers, Xavier D., Paul H., Florent P. and Armando O. S. went in Ethiopia, in rural area of the Mirab Abaya woreda (district), more than 100 km away from national electric grid. Electrification with solar photovoltaic technology is particularly appropriate thanks to the excellent solar radiation throughout the year ranging from 5-5.6 kWh/m2. The custom clearance took a very long time and we had to postpone the execution of the mission several times. Arrived in Addis Abeba, our 4 volunteers took a local flight to Arba Minch. It took then almost a full day of drive to arrive to Shella Dida. The The Shella Dida High School is composed of 5 buildings in concrete, rather recent. 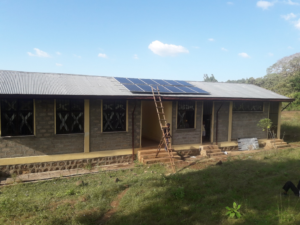 The electrical wiring was completely redone and the photovoltaic panels installed. 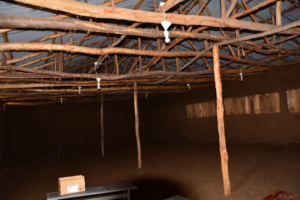 Our volunteers went then to Done Ela,where they electrified a High School composed of 4 buildings made of wood and earth. 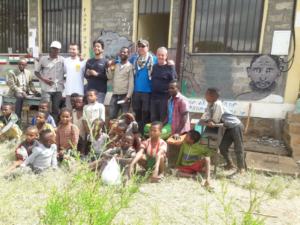 Although the living conditions in these two regions are extremely poor, our volunteers have received a wonderful welcome from the local population. 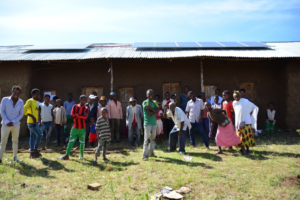 Both projects, largely funded by ENGIE Foundation, where performed in collaboration with the Arba Minch University, who contributed by transporting the equipment from Arba Minch to the sites and providing technician to help for the installation and ensure the follow-up for the sustainability of the project. Thank you to the volunteers of Energy Assistance and all those who have contributed to the success of this mission.